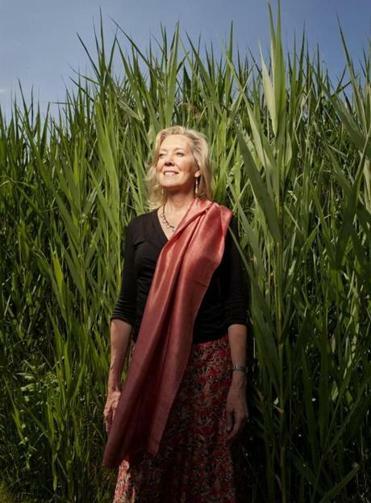 The MIT professor is heading up the pioneering effort called edX. 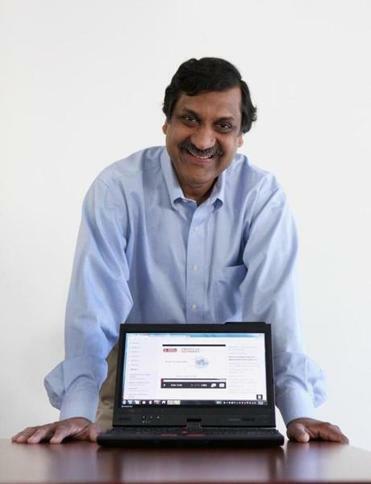 Anant Agarwal’s Circuits and Electronics online course had 154,763 registered students logging in from 160 countries. THE WINDOWS of Anant Agarwal’s new corner office on the seventh floor of MIT’s Stata Center overlook the classroom, lab, and office buildings that crowd the heart of campus, now quiet in its summer slumber. When the 53-year-old starts to describe his plans, however, you can almost imagine those buildings shake. MITx and its joint program with Harvard, edX, also stand to reclaim for MIT the leadership it first took in 2001 with its OpenCourseWare initiative, which makes course materials and lecture notes available to anyone online for free. The new partnership “has sent a powerful signal to the world that online learning matters, it’s arrived, and these giants that have this unbelievable prestige are investing in it and trying to figure out what works,” says Michael Horn, executive director for education at the Innosight Institute in Mountain View, California, and coauthor of Disrupting Class: How Disruptive Innovation Will Change the Way the World Learns. Agarwal, who lives in Weston with his wife and two children, has long pushed the edge. After graduating from the Indian Institute of Technology in Chennai, he moved to the United States to get a doctorate at Stanford, then landed a job teaching at MIT in 1988. He also directs the university’s Carbon Group, which has scored big advances in operating systems and cloud technology, and, in his free time, cofounded a company called Tilera that turns out high-performance processing chips. Unlike some academic researchers who prefer to toil over their latest inventions in the privacy of their labs, Agarwal says he has always been happiest in the classroom. “When you’re teaching a hard concept and the students all have puzzled looks on their faces and then suddenly you can see that ‘aha’ moment, that they got it, that’s just an incredible thing,” he says. Figuring out a way to reproduce the same result online has been a longtime research challenge for Agarwal. Years ago, faced with the problem of re-creating the hands-on work essential to teaching science, he developed a program called WebSim, an online lab that lets users assemble simulated electrical circuits. Similar advances will make the interactive courses taught on the edX platform more than passive screens of information from which students may or may not actually learn anything. The schedule is “flexible and at your own pace,” Agarwal says. “Modern society is so time-sliced that it’s getting harder and harder to pin people down.” So there are video tutorials lasting anywhere from three to 15 minutes that students can watch anywhere or at any time — in real time, slowed down, or sped up — something that’s impossible to do on campus. Those are followed by short exercises that everyone is required to complete. Green check marks appear beside questions students get right; if they get the answers wrong, they can go back and review the lecture. Online discussion sessions with faculty and teaching assistants encourage questions and answers, but Agarwal says the teaching staff has learned to hold back and let students work things out themselves or go to others for help. This sort of educational crowdsourcing is essential in an online course like the one Agarwal co-teaches, along with two colleagues, an MIT research scientist, and four teaching assistants, called Circuits and Electronics. It had 154,763 registered students logging in from 160 countries. Agarwal’s course is free, but the students are also guinea pigs in the cause of online education. Everything they do is tracked: how they spend their time —it turns out many students watch lectures late at night —and what they looked at last before getting an answer right. MIT says 125 million people have already used online content through OpenCourseWare. And one goal of MITx and edX, says Agarwal, is to multiply that audience tenfold by offering personalized education to a billion people.